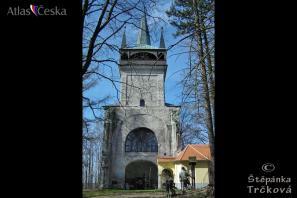 The Bolfánek observation tower literally towers over the town of Chudenice in the Plzeň Region. It stands on the Ždár hill (587m). The tower was built in 1845 but its history is a hundred years longer. Originally there was a church, however, it was closed down in 1782, eventually decayed and was taken down in 1810. What remained was its tower which was then turned into an observation tower. To get to the top you have to manage 138 stairs, though the view is certainly worth it!